With a New Year’s Eve birthday, I get to do some seriously fun things on my special day. 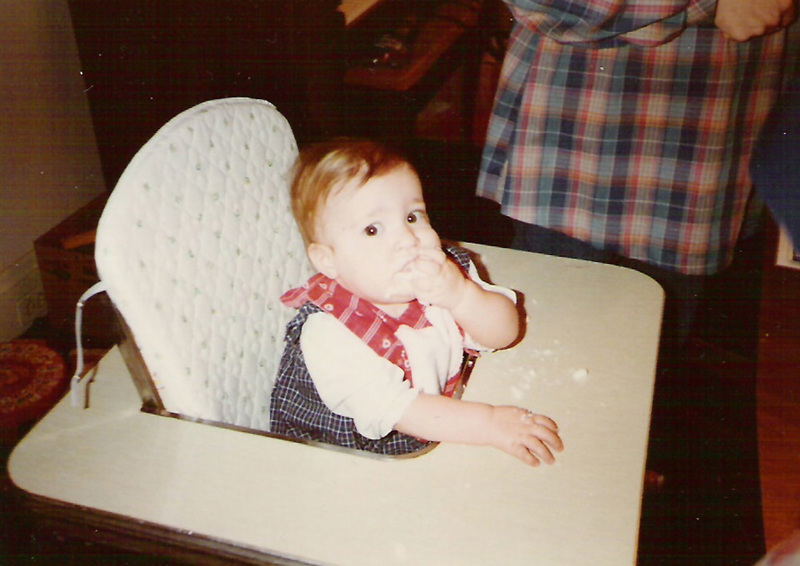 Here’s my first birthday. I’m blissfully eating cake, unaware that in six short months I will cease to be the center of the universe. I wouldn’t be surprised if my sister ate all my cake on my second birthday. But I digress. Since it is over winter break, I’ve spent many birthdays away from home. One time, when I was really little, we were flying on my birthday and the story includes something about the passengers singing to me while the flight attendant brought a muffin with a candle. Maybe I’m messing the story up because a candle on a plane just doesn’t seem right, but Mom can straighten me out in the comment box. Anyway, I’ve spent my birthday in Ohio, Florida, California and Utah as well as my home states. I’ve been on the beach and at Disneyland. In Cleveland, with family when I was little, I got to go on special birthday outings with my aunt and uncle. They would take me (just me!!) to a mall (wow!) and let me pick out a present, whatever I wanted (big wow!). This was so incredibly exciting and special. When we were at home, the church I grew up in did a New Year’s Eve talent show. We would always sing or play instruments, followed by “Skidamarinkadinkadink” (not sure what the real title is). One set of grandparents gave me a pearl necklace, and on each birthday they would add a pearl. Such grown-up jewelry made a little girl feel very elegant. Two years ago, we went out to eat and ran into a family from our church that we hardly knew. At the end of the meal, the waiter told us there was no check as that family had paid for our tab. What a special birthday surprise! So whether it’s exciting locations, special time with family, or surprising generosity, my birthdays have turned out pretty good. I’m looking forward to many more. Tell me your favorite birthday story! No cake is safe! We’ve been some great places on your birthday. 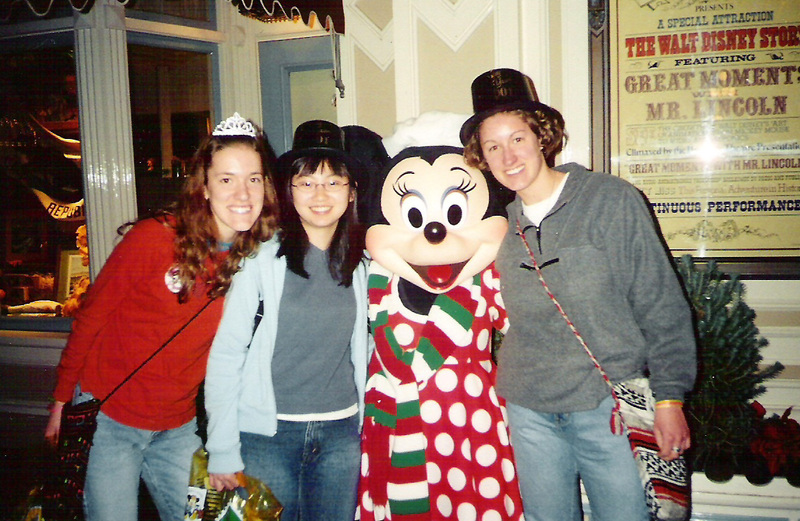 Disneyland was probably my personal favorite of your birthdays! 16- Could have been driving! Instead, I spent the birthday cleaning up after the stomach flu epidemic at summer camp. 18- Could have been buying tobacco products (not that I wanted to), but I was on a plane to France. Fair trade! 21- Could have been getting schnockered! Instead, I was in Mexico on a missions trip & we weren’t allowed to drink. 27- Parents took me to an Earth, Wind & Fire concert. SO FUN! I love hearing about your special birthdays. :) I also love funny family stories. I don’t have any special birthday stories, not to mean that I didn’t have special birthdays, but I just can’t recall any right now. I do just enjoy birthdays all-together, whether mine or someone else’s. It’s always good to celebrate someone, and what better day to do that than the day they were born! Worse than a candle, the flight attendant brought Diana a muffin with a lighted MATCH in it. Seems unbelievable these days. Indeed, everyone on the plane sang the birthday song. As I was growing up, my birthdate fell while my dad was out of town at an annual convention (the only year he missed the event was the year I was born). Always an excuse for an extended celebration. Nowadays, it always falls at the time of Showtime and of State Solo & Ensemble Contest, so the event continues to be extended.